Learning and Memory: Sleep helps the brain remember new information through a process called memory consolidation. In studies, people who slept after learning certain tasks scored consistently higher on tests. Metabolism and Weight: Chronic sleep deprivation may cause weight gain by affecting the way our bodies process and store carbohydrates and by altering our hormones. Safety: Lack of sleep contributes to fatigue and a tendency to fall asleep during the daytime. This may cause falls, judgment errors, inattentiveness, car accidents and more. Mood: Sleep loss can result in irritability, depression, impatience, inability to concentrate, and moodiness. Too little sleep can also decrease one’s energy and motivation. Heart Health: Serious sleep disorders have been linked to high blood pressure, heart attacks, irregular heartbeats and increased stress hormone levels. Immunity: Sleep deprivation increases risk for infections and illness. According to the National Sleep Foundation, there is no magic number for the amount of sleep each person requires. Sleep needs are very individual. The table below is the “rule of thumb” amounts of sleep required by different age groups. It reflects the consensus opinion of most experts. *As an adult, sleeping < 6 hrs/night or >10 hrs/night lowers longevity. What other diagnoses can be caused from sleep disorders? Chronic sleep disorders can contribute to diabetes, high blood pressure, obesity, depression, anxiety, substance abuse, focus issues (ADHD), heart failure, irregular heartbeats, heart attacks, stroke and some cancers. Chronic lack of sleep may exacerbate COPD, lower immune function and may accelerate aging and dementia. What are the symptoms for sleep disorders? You may have a sleep disorder if you have trouble falling asleep and staying asleep throughout the night, waking up too early, having trouble getting up at all, and/or daytime drowsiness. You may need a sleep study if you have socially disruptive snoring, have leg cramps or restless legs, pauses in breathing during sleep or you are experiencing daytime sleepiness or prolonged insomnia. Your Provider may also recommend a sleep study depending on your medical history. One third of all children have sleep issues. Disturbed sleep at night can significantly affect how a child behaves and learns. Sleep problems need to be distinguished from behavior issues (not staying in bed, night waking and ADHD) versus a disordered sleep pattern (night terrors, sleep walking, restless legs or bed wetting). About one half of children diagnosed with ADHD have sleep disorders. Loud snoring, noisy breathing or pauses in breathing could indicate obstructive sleep apnea, frequently found in children with enlarged tonsils/adenoids or who are overweight. Tonsillectomy and adenoidectomy surgery or weight loss can often resolve childhood sleep apnea. At what age do you need a sleep study? Studies are typically done on children age 6 and older, but even toddler age children can be seen by a pediatric sleep specialist. Sleep studies can now be done right in the home. Sleep is one of the most important things (along with diet and exercise) we promote to maintain and improve health. Lack of sleep causes many emotional and physical problems and interferes with our social and work life. We encourage better sleep habits, dietary changes, stress reduction, herbs and prescription medicines for people with sleep disorders. Our treatment is personalized to each patient’s needs. Acupuncture treats symptoms of sleeplessness without the side effects of prescription or over-the-counter sleep aids. It addresses the underlying disharmony in the body causing the sleep disturbance. Acupuncture for insomnia achieves not only better sleep, but also contributes to overall improvement in physical and mental health. The two major reasons people have trouble sleeping are deep exhaustion, where the body is too depleted to calm itself down for sleep, and unstable blood sugar. To encourage uninterrupted sleep we must have stable blood sugar, be great fat burners and feel calm and relaxed. The ancient diet and lifestyle recommendations of Ayurveda can assist you in creating a life where you can look forward to going to sleep. Bowenwork promotes relaxation. The nervous system is immediately affected by this gentle modality, taking the body out of fight-or-flight (sympathetic dominance) and into relax-and-restore (parasympathetic mode). 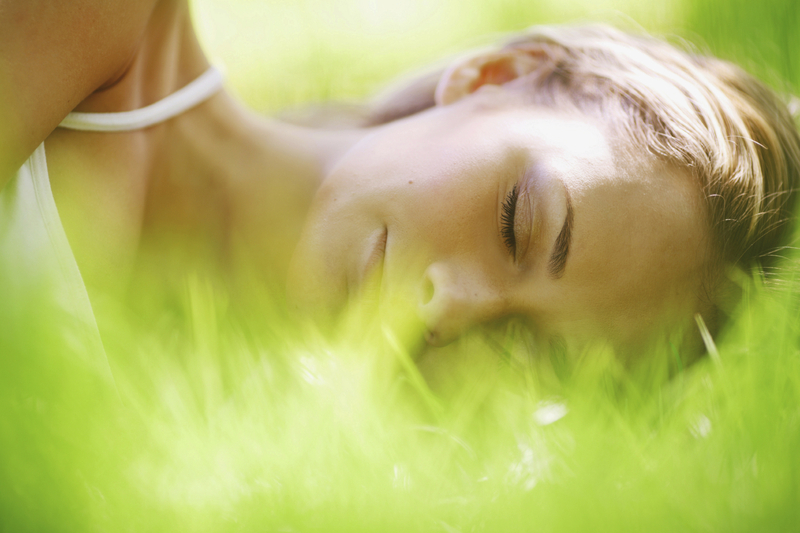 The body is prompted to do its own linear rest methods, allowing for better sleep patterns. Healthy sleep is a time of physical and spiritual rejuvenation. When a body doesn’t have enough sleep, it cannot fully heal. Insomnia or other sleep issues can often be addressed by resetting the body’s energy field with breath work, life force balancing, and visualization. When a body is connected to its own messages the sleep cycle can return and stabilize. Massage is a beneficial therapy effective in improving sleep for all individuals, from infants to the elderly. Massage induces relaxation, decreases pain, and in turn increases serotonin levels, all effective in inducing sleep. The Cognitive Behavioral Therapy for Insomnia (CBT-I) Program has consistently been proven to be the most effective treatment for chronic insomnia. Therapists trained in CBT-I can assist people with insomnia in improving sleep by 75-80%. It has no side effects and maintains improvements in long-term sleep. It can reduce or eliminate sleeping pill use in 90% of patients who are ready to end their relationship with sleep medications. In three major studies published in the Journal of the American Medical Association and the Archives of Internal Medicine, CBT-I was more effective than sleeping pills. CBT-I is an exciting option for those who suffer from insomnia to improve their quality of life. Naturopaths provide individualized care that address the causes of poor sleep, such as stress, trauma, pain, hormonal imbalances, digestive problems, adrenal dysfunction, blood sugar and weight issues. The goal of treatment is to identify and remove obstacles for proper health, and offer safe, effective solutions through the healing power of nature. Sleep improvement is often achieved with nutrition therapy. Uninterrupted sleep of sufficient length and depth is critical to appetite control and improved energy for exercise and cooking. Nutritional factors include adequate provision of calcium, magnesium, B vitamins and amino acids essential for calming the nervous system and neurotransmitter synthesis. Selected herbs also comprise important tools for sleep enhancement.